Conveying small and not large massiveness materials, meanliness materials and biscuit materials. Applicable for conveying long and not very long distance materials, weight materials and materials that is vey long and its sliding rate is very fast. It is mainly used in harsh condition of long distance,heavy-load, high-chemical corrosive etc, it is especially suitable for transporting in moist environment. 10 YRS Zhejiang Fuda Rubber Co., Ltd. Leading organizations and municipalities rely on WANFLEX rubber belt to deliver quality products at competitive prices. Its framework material is the polyester canvas interwoven with meridian terylene and latitudinal polyamide fiber. It is characterized with excellent endurance, good water-resistance, no lowering of strength in humidity, mildew proof, and high load of initial models. EP NN CC RMA II Rubber Sidewall Conveyor Belt 175 C HUAYUE&reg; Sidewall Conveyor Belt Always works together with the corrugated transport system, normally the angle is more than 30 o , it also could work together with the common use belt conveyor for the horizontal and short distance transportation (No clapboard generally). 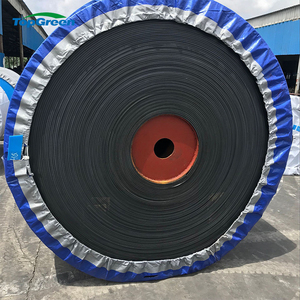 Hight: 40-400(mm) Width: 35-110(mm) Corrugated Sidewall Conveyor Belt Cleat: Type: T,TC Hight: 35-360(mm) Width: 55-230(mm) Factory HUAYUE&reg; sidewall conveyor belts carry out a wide range of conveyor tasks in all industries. It has been over 30 years history since 1986. Passed SGS, BV, ISO. 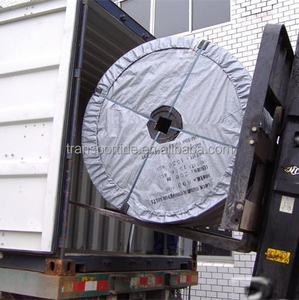 It is suitable for transportation in medium or long distance with heavy load under the high-speed working condition. Our business philosophy is industry leading, professional pursuit, integrity management and steady development. Our Projects Belt conveyor systems in different industries Contact us Belinda Beijing HaoSheng Transmission Technology Co., Ltd. This series Conveyor Belt has a feature of large crushing ratio, uniform product granularity, simple construction, reliable operation, easy maintenance, low operating cost. We always offering lifelong services and provide spare parts for a long term,and repairing main parts under right using for free in two years. We will provide the technical advice and find the solution immediately for you when the machine is in troubleshoot. 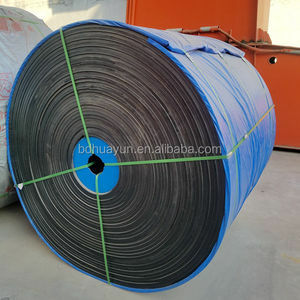 1 YRS Baoding Jingbo Rubber Belts Co., Ltd.
1 YRS Hebei Global Technology Co., Ltd.
17 YRS Zhejiang Sanwei Rubber Item Co., Ltd.
PU: Most applicable to the food industry and other industries . With 15 years of manufacturing experience, our products have been serving customers all over China. They are widely used in mechanical, electrical, agricultural, automotive and power transmission fields. Suitable for heavy lump materials under normal working condition W 18 180 450 90 Abrasion resistant. Suitable for heavy lump materials under normal working condition X 25 250 450 120 Abrasion resistant. 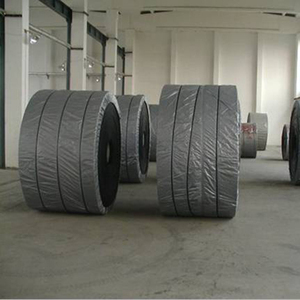 We will make test for materials or samples before producttion, ensure the high quality for goodyear conveyor belt. 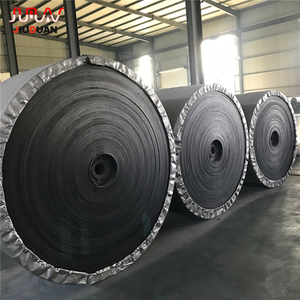 A pplication It has been widely used in many industrial departments such as mine, metallurgy and coal for transporting bulk materials and piece articles. 1&gt;Pre-sale services: Enthusiasm We provide you with the prophase plan, process flow design and manufacturer equipment according to your special demand. We always offering life long services and provide spare parts for a long term,and repair main parts under right using for free in two years. Our customers are largely quarrying, cement plant, recycling plant and kinds of mines and so on. Our business philosophy is industry leading, professional pursuit, integrity management and steady development. Guaranteed to customers: 1) All Material we use is of high or medium quality and environment friendly. 6 YRS Cangzhou Xinde Machinery Co., Ltd.
is an innovative manufacturing enterprise specializing in the production, design, sales and installation of bulk material conveying equipment. ,LTD(BMHRI) production base, which represents Xinshan technical level has reached the top domestic and international cutting-edge capabilities. XINSHAN Conveyor is a name well known with an established high reputation for providing total conveyor confidence. 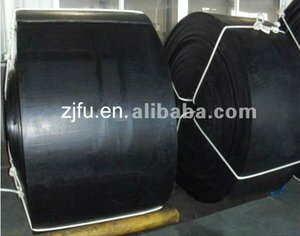 Alibaba.com offers 6,789 ep rubber conveyor belt products. About 70% of these are rubber belts, 19% are conveyors. A wide variety of ep rubber conveyor belt options are available to you, such as rubber, nylon, and pu. You can also choose from free samples, paid samples. 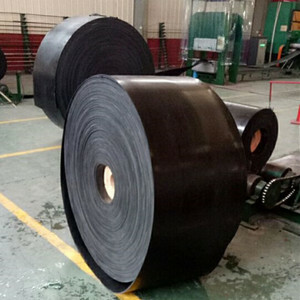 There are 6,789 ep rubber conveyor belt suppliers, mainly located in Asia. 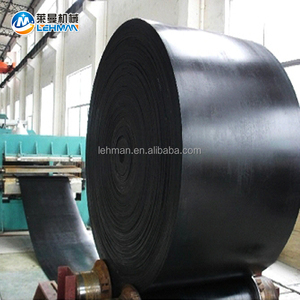 The top supplying country is China (Mainland), which supply 100% of ep rubber conveyor belt respectively. Ep rubber conveyor belt products are most popular in Southeast Asia, North America, and Western Europe. You can ensure product safety by selecting from certified suppliers, including 4,257 with ISO9001, 1,533 with Other, and 550 with ISO14001 certification.